Gayle Djavadi and Myron Weintraub scored 0.44 masterpoints with a 49.45% game at In Tempo Bridge Club. See full results of this game. Freya Winsberg and Doris Minsker scored 0.84 masterpoints with a 56.04% game at In Tempo Bridge Club. See full results of this game. 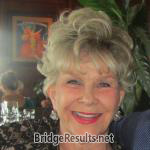 Cissie Lilien and Gail Djavadi scored 0.25 masterpoints with a 51.24% game at Bridge On Shea. See full results of this game. Freya Winsberg and Doris Minsker scored 0.47 masterpoints with a 52.2% game at In Tempo Bridge Club. See full results of this game. 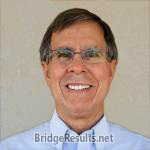 Gail Djavadi and Cissie Lilien scored 1.07 masterpoints with a 52.09% game at Bridge On Shea. See full results of this game.